Regular Season Notes - Oct. Nov. Dec. Starting June 1st, 1976 with the release of Blazer Coach Lenny Wilkens, the hiring of coach Jack Ramsey, the ABA merger and dispersal draft, trades and acquisitions, game recaps starting during summer league games, preseason and the regular season, all the way thru to the championship game on June 5th 1977 game. During the summer of 2016, Shellie would ask me what was going on as if that off-season was happening live and we talked all summer about how to shape and set up this site. I've been a Blazer fan since 1971 when I moved to Oregon. That glorious 76/77 season was one to remember and I want to share what was going on all thru the season via this site. It was also the year in which we met. 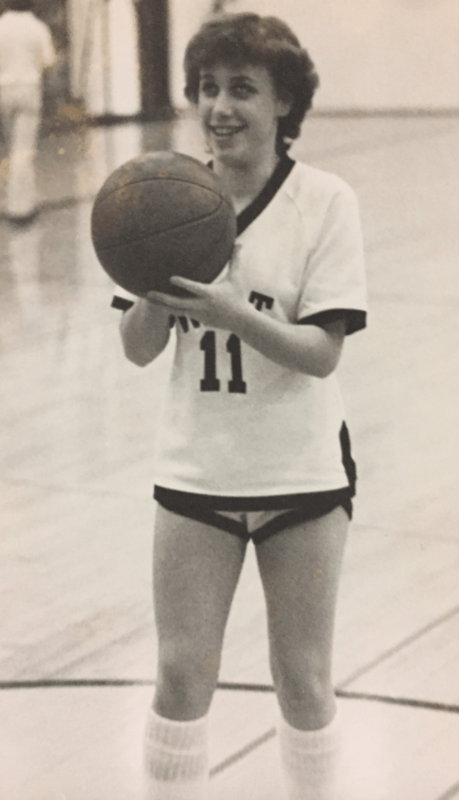 Below is a picture of Shellie when she played guard as a member of the West Albany Bulldogs Class of 1980. I have decided to continue the site for the following season, the 1977/78 season which became famous in Blazer lore as the 50-10 season. Shellie and I first met in early September as the Blazers were entering training camp that season.